A strange thing seems to happen to colours in the sea. Once in the water, perceptions change. The deeper one goes, the narrower the light spectrum becomes. Colours vanish one after the other: red disappears first, then orange, yellow, green, blue, and finally it’s darkness, all is black. But if the dark sea bed is illuminated, plankton remembers the light and reveals its luminescence. 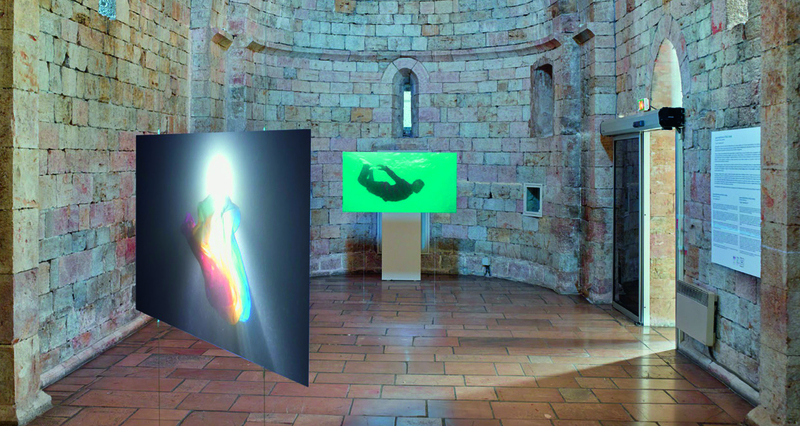 The artists experiment with underwater exploration, this sensorial trip. 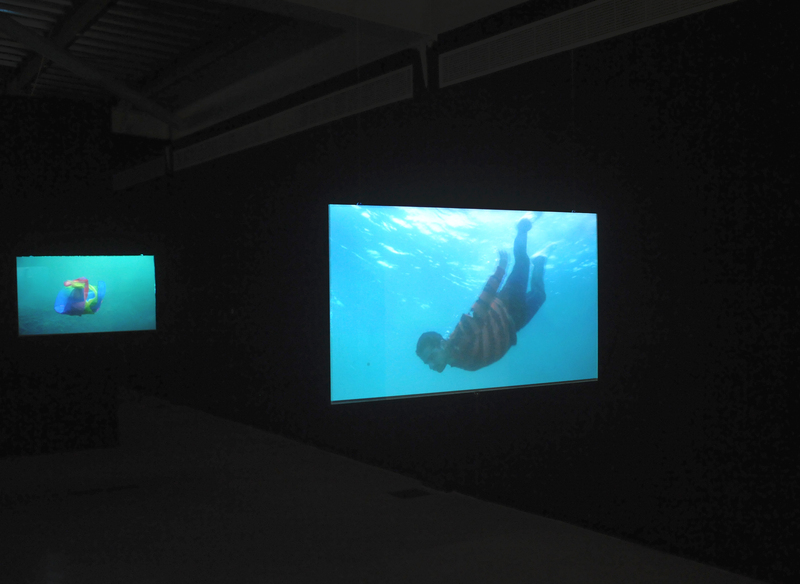 Five actors and divers, dressed in different colours, are asked to allow themselves to sink deeper and deeper into the sea. A vibrant scarf is thrown into the sea to see what would happen to its colours. From one screen to another, images dialogue, haunted by imaginary worlds, a sunken city, buried memories of war, military vehicles thrown into the water… other temporalities inhabit the abyss.